Since it’s technically spring (although Boston seems to have missed that memo) and I’m feeling nostalgic, I had to do a throwback to my spring semester abroad in London. While they do have one of the best accents out there, they aren’t particularly known for their cuisine. BUT what they are known for is their exquisite afternoon tea. 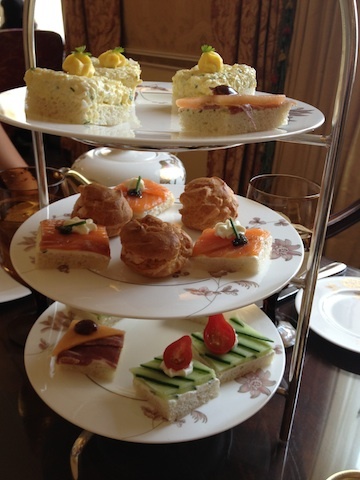 Afternoon tea is one of my favorite things out there–besides popcorn, which deserves its own post. It is one of the things I miss most about London—there must be something about the delicious assortment of finger sandwiches and an endless amount of scones and pastries that gets me every time. A smoked salmon sandwich is usually in the assortment of sandwiches so naturally that helped fuel my love for tea (since I don’t think I’ve professed my love for smoked salmon clearly…. not). I had it practically every week when I was abroad. Coming back to the states meant I couldn’t have it every week, which was devastating (I was tempted to pack hundreds of Harrods scones in my suitcase but I was stopped by my suitcase being already overweight). Luckily my love for put me on a search to find afternoon tea in Boston and I was successful. 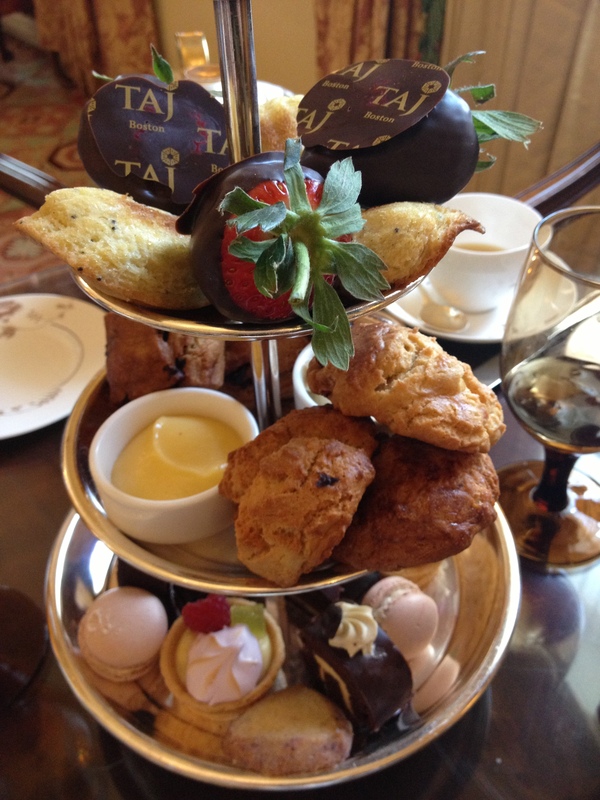 The two best places for authentic afternoon tea I’ve found so far are the Boston Public Library and the Taj hotel. I recently just went to the Taj for my birthday and was pleasantly pleased—I managed to clear mostly everything on the dainty china platters. It’s perfect for an afternoon adventure when you want something delicious, relaxing, and low key. Plus it gives you a reason to dress up if you want! 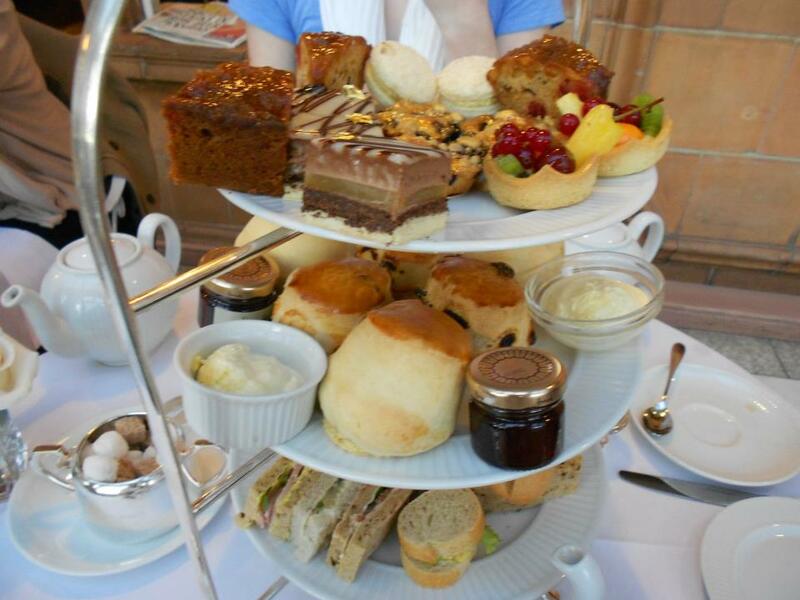 If you haven’t had authentic afternoon tea, you should try it! But until next time, keep eating!